“SQUIRREL vs. SNAKE” is a state of the ‘dis­union’ in the USA and beyond… the disharmony, the threats to intellectual freedom, and the cynicism and lies we take for granted now in the age of doublespeak. Solid States is out now on Lojinx. 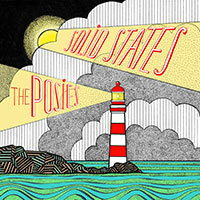 14 May 2016 The Posies Solid States in Sydney Morning Herald, out now! Geben Sie einfach Ihre E - Mail - Adresse für The Posies bezogene Nachrichten und Updates.